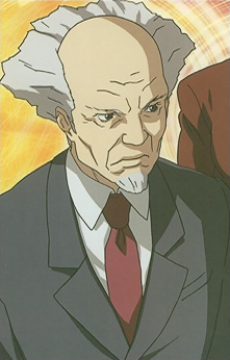 The wise and powerful Head of Section 9, Aramaki relies upon his many international and corporate contacts to supply his team with the information they need to get the job done. Though he commands a great deal of respect, he is occasionally called "Monkey Man" (in the Manga) by his subordinates (perhaps because of his unconventional hairstyle/face). Seldom directly involved in police actions, he is nonetheless constantly working behind the scenes to coordinate the efforts of his agents, making quick and authoritative decisions and maintaining tight control of Kusanagi.